I used Random.org to get a number and the winner is Terry of Terry's Life. So Terry, I need you to email me your address. So I can send your prize package! This is a FUN idea that sandi had! Looks like Terry got the "golden egg" this time! My newest Friend, Kathy, is having a lovely giveaway at her blog. So click right over and enter if you want to win! Everyday Bliss! The prizes are an ETSY gift certificate, a starbucks card, and a surprise pack. Don't forget to visit all the other GOOD EGGS. 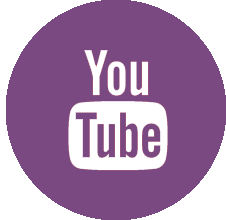 I am going to put a link to Valrie right here. She is a good egg. So go read her blog and enter to win her prize. I think she has a link to all the other good eggs. You can also click on my bunny button over ------------------there------------> at the top of the right hand column. What are you waiting for...go visit Valrie. 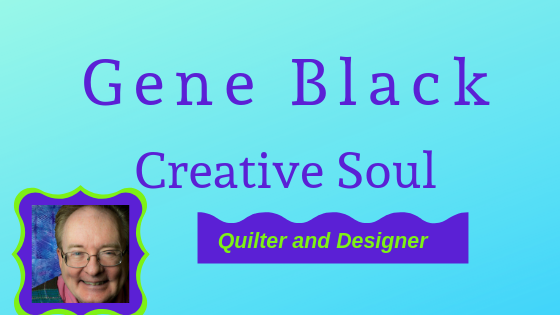 A few days ago, I got a nice email telling me that one of my buds had nominated me to be a featured quilter on a blog. Of course I was interested. But I didn't think I was interesting enough to feature. Luckily the questions in the interview brought out the best in me. Then the editing made me sound even better. Thanks to Charlie for the nomination AND to Nichole for asking me to be her guest at Stitching Heaven. You can read the interview at Stitching Heaven Howdy. Thanks for stopping by. Be nice and comment over there when you read the interview, okay? The "no comments" on it is making me itchy! . I was invited by Sandi over at A Legacy of Stitches to participate in the GOOD EGGS Giveaway. Knowing that she considers ME to be a good egg, how could I say no? I hope I am the best kind of egg - rich dark chocolate with a creamy nougat center and maybe a bit of caramel surprise in there. Mmm....now I am hungry. Ha ha. Folks, today is THE DAY!!!! You can start hopping down the bunny trail. 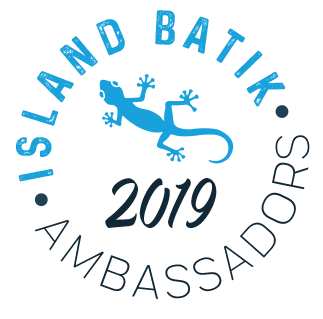 Oooohh..I am excited! I think I will hop some too. So, a comment to enter. Tell me something you like about Easter, or an Easter memory or just that you like bunnies. Ha ha. I am not requiring you to follow my blog, but if you want to that is good too. The comment is the only requirement. Well, as a matter of fact there is one other one - I have to be able to get in contact with you if you win. If there is no email that I can reach you from your blog profile, leave me an address in your comment. Comments will be taken until March 28th at 6 pm Central time. Sometime after that I will draw a winner. Comments on this post only will count as an entry. One per person please. So the prizes are: A fat quarter of fabric with a rose design, a page of butterfly stickers, four notecards showing - sun, love, flowers- and a handpainted bookmark from my studio. If you win, and there is an item you don't want it is okay. You can: a. tell me and I won't send it. b. give it away to a friend or even on your blog. My feelings won't be hurt. So Let the HOP begin. Happy Spring to you, you wonderful blog readers you!!!! Are you ready? Tomorrow is the Good Eggs Spring Hop. And in celebration of SPRING and warmer weather (please let the warmer weather stay this time!) there is a giveaway HOP. Hint - see that cute rabbit badge right over there at the right? Come back tomorrow and join in. I would love to be your first stop along the way. Okay, So I did a play on words, I need to ask a question. I am seriously thinking of getting a serger. I am not planning to get an expensive one. But it is an expense that I am questioning anyway. After all, I could use that couple of hundred smackers to buy a lot of cloth and thread. Do any of you use a serger? Do you use it for quilting at all? What exactly do you use it for? I have an overlock foot for my machine, I just have never used it. I do know that it won't trim the edges like the serger will. I have read that the one I am considering is pretty easy to thread. It is a 2/3/4 thread machine. So whaddya think? Talk to me people! Sorry, I hate to do this on the blog, but many of you have my "other" email address. AND you were in my address book. The Hotmail account was hacked. So if you get a message from me -or anybody for that matter -with just a link in it don't click on it. I just spent almost an hour working on the potential problems this has caused. ARRRGH, hackers make me so angry! Thanks to those of you who alerted me and were smart enough to know that I didn't send that. I hope your weekend is off to a better start. For St Patrick's day, I made a dish called Bubble and Squeak. If you click on it -it will take you to the recipe. I did not add the sauce. I had some for supper last night and will have some for lunch today. Mmmm.. I am part Irish, I couldn't resist. The Jelly Roll quilt along at Moose on the Porch Quilts put up the second block pattern yesterday. I made the block last night and it came out just fine. However, it doesn't really look like it goes with my previous block (below.) I think that when few more of the blocks are made it will fit in. If not, well you know I do scrappy well anyway! ha ha. The Nana came home for a couple of days. We did some running around and spent some time visiting. For fun, I decided to make her a designer scarf. This is made using a fabric layering technique with tulle and small pieces of fabric. Doesn't the scarf look great with a simple white shirt? I think with a "little black dress" it would look amazing. Gosh it has been days since I posted here. We had some changes at work and I have been worn out when I get home. (yes it is true, but it is still just an excuse!) I haven't gotten much sewing done. Haven't painted anything. I have practiced on my penny whistle, but not recorded anything else. How about I just hold the block up to the screen and not have to take a picture? No? okay hang on, I will get the camera and take the picture JUST FOR YOU! Darn it, I didn't see that small mis-match in the upper right until I took the picture. Oh well! Still it is an easy block to make and I am sure you can figure it out for yourself just by looking at the picture. Late addition: Elaine Adair commented and I found her post http://elaineadairpieces.blogspot.com/2010_03_01_archive.html go down to March 8th and 9th posts she shows HOW to make it (she did the color layout differently) and shows a cool setting . Thanks Elaine! Are you creative? Are you fascinated by the creativity of others? Do you wonder about the process? A friend of mine is a woodcarver who makes delightful Father Christmas figures from cypress knees. Amazingly, one of the cypress knees, Nick, has decided to blog about his journey from the swamps of Louisiana to Alabama where he will no longer be a swamp-dwelling “knee” but will become a work of art. Nick’s journey has begun and will continue for many months. I recommend that you start following now, and read the previous entries to get up to date on Nick’s journey. 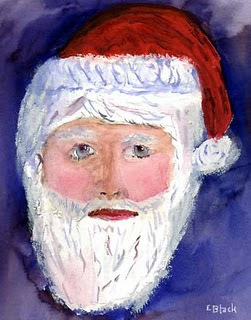 This is a painting I did of Father Christmas. You really want to sew something fantastic, but do you only have patterned fabrics. (I confess I have very few solids,) Solids can add a POP by giving variation in a quilt or sewn article. Variety is one of the design elements. I love winning, don't you? So I am sharing with you, my special readers, this link To V and Co. The Quilt Shoppe is sponsoring a giveaway for a rural jardin jelly cake (that's a layer cake and a jelly roll) PLUS a $25 GIFT CERTIFICATE to the Quilt Shoppe. Now I hope I win, cause -didn't I mention this already- I love winning. But I also love to see my friends win. So if I don't, I hope you do. Banaghaisge is having a blogaversary giveaway. She is MAKING a Quilt to give away. She says "It will be about 45" x 55" when it is finished - give or take a few inches depending on what sort of borders I discover at the quilt shop"
Now that sounds awesome to me. I am entering. Are you? What a lovely day! The sun is shining, the temperature is reasonable (66° F) and my world is peaceful. I don't have a project "going" and wasn't ready to start one. Well okay, I did have one, but it required a trip to buy fabric and I didn't want to do that today. So I decided to sort out some pieces of fabric that I have in a tote bag. I found THESE --Don't the colors make you think SPRING TIME? These are bits of fabric that were cut from the edges of a pieced backing. Now truthfully, these are what is left NOW. There were more. I love bright colors. Did you know that? Ha ha. I also love making scrappy quilts. --sure you probably knew that too-- Needless to say, I couldn't bear to throw them away. (and you probably already know I am a packrat too, didn't ya?) So they were in the bag wrapped in some larger pieces that will be used later. I decided to make some very wonky, not exactly right, log cabin blocks. (My inner Gee's Bend is showing, huh?) My buddy said, "But they aren't square, they won't square up!" Ha ha...do you think that bothers me? Silly Rabbit! Of course not. I can add a bit more later and square it up. Then, I had more strips left -and I was getting bored with matching sizes to make the blocks - so I started making strip strata. Somewhere down the line this will go into a project and really sparkle. Now, The moral of the story is this: If you love the fabrics you made the piece from, and you have interesting pieces left over, don't just toss them. Save them for a day of nearly mindless fun and see what you come up with. You can really free up your creativity this way. Today I got one box in the mail. It made me very very happy. I got the Simple Abundance jelly roll I won at "Crazy Old Ladies Quilts" I got it home and of course had to open the roll and look at the fabrics in person. The red outside border on the block is from another Moda jelly roll - that was already partially used. I think it is L'Amour by Sandy Gervais. The red from it will play nicely with the Simple Abundance reds. Plus there are pinks, aquas and greens that play well with my other choices in the block. I am so ready for the next block. But it is not till March 15th, I think. Are you ready for spring? I am Spring means Easter, flowers, and bunnies and good days ahead. Look in the side bar and see the bunny. Click on it and find out a secret. Well folks, I am going to a guild meeting next week. (you listening Norma?) I understand that there is a block lotto using this block I am making. The winner gets all the blocks. How fun is that? Also, there is a FQ lotto - the theme is GREEN- so I will be taking a green fat quarter and just see if I can start a green stash - if I win. LOL. So here is the beginning of it. I have three sections completed, two are joined already. Then I have an "oh crap" piece. See that place I circled and drew and arrow to? Yup, see that white bit of paper? That green fabric should have covered that. It didn't. So "oh crap!" I will have to do that bit again. Now I am off to work on this block some more. I did some more and it really didn't work out. When I joined the pieces somehow the box didn't make it to square. One corner of it is great and the other is off almost a quarter inch. I would be ashamed to take it. By the way Bozzy is celebrating! She is giving away a $50 gift cert to her ebay store. go see her now! The Jelly Roll Sampler Quilt Along is started! I had written a long post for this and Blogger ATE it. ARRRRGHHHHH. So here is my first block in the Moose on the Porch Jelly Roll Sampler Quilt Along. All my corners match up pretty well. I am happy with this block. I won a Jelly Roll for this quilt along, but it isn't here yet. So I had to improvise this block. I grabbed a strip from another roll that looks to me like it will go okay with the one I am getting. (That is the red with white curliques) The "white" is actually heavy muslin that I am using for the background fabric. For the center 9-patch she said to use 9 different jelly roll strip pieces OR two and alternate colors. As you can see, I didn't exactly do either. I had a few pieces from another jelly roll project that looked like the color family, so I used what was there. I think it looks great. I love to improvise. Speaking of improvising, that reminds me of my wonderful cruise in January. 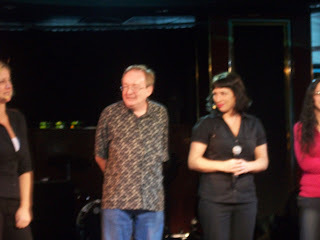 There was an improv troop from Second City Chicago as part of the ship's entertainment. One performance they asked for two volunteers. Guess who was picked. Yep, me. So here is a picture of me along with Jennifer Bascom from Second City (i put the link so you can read about her) I think she is a really funny lady, she reminds me of Lily Tomlin in her style of humor. I could see her ending up on Saturday Night Live sometime soon. Jenn, if you are reading this, I would love to be on SNL with you!